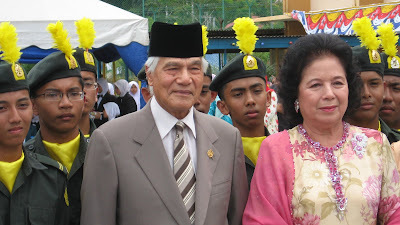 The Sultan of Perak, Sultan Azlan Shah, visitied us at SERATAS on Saturday, August 19. That doesn't mean much when you feel like crap. I'll write more when I feel better. 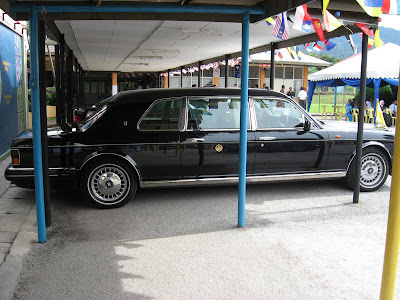 It was my job to take pictures, so here's a couple of the Royal Dude of Perak, and his ride, a Rolls Royce limo. Most excellent wheels, Your Royal Dudeness!